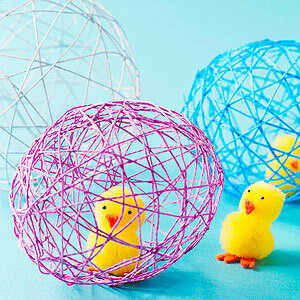 Fun and easy Easter craft for kids! 2. Insert the chick into a prestretched balloon. Blow up the balloon until it’s the size of a tennis ball. Knot the balloon and spray it with a light coating of cooking spray. 5. Clip the knot of the balloon to a hanger, and hang it up to dry (It was suggested to try hanging them from a shower curtain rod). I used to do this as a kid and it is so simple and fun! Personally, I would prefer to use pre-made chicks, especially since they’re easy to find this time of year. Gluing on tiny beak parts would require more patience than my kids would like to give (and could be difficult for younger children and those with special needs). It would also cut out the cost of the dimensional paint for the eyes. Googly eyes are fun, too, if you decide to make your own chicks! 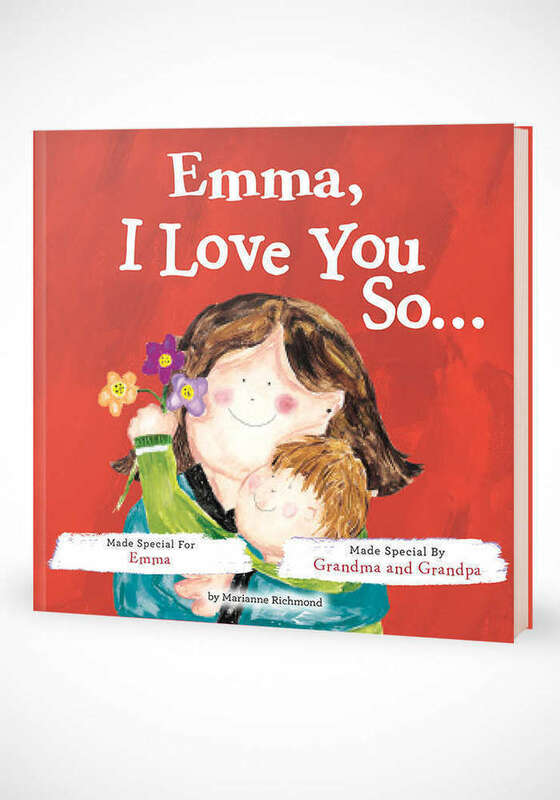 This was riginally published in the April 2014 issue of FamilyFun magazine. Thanks to them for this awesome idea! 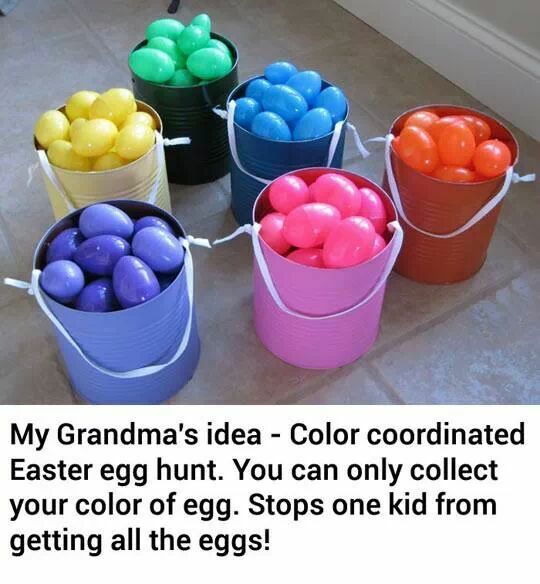 Egg hunt by color to level the playing field on Easter! I love this idea! You could also match the difficulty levels for each color by the child’s age or abilities so the easy ones aren’t all found first by other kids. I’m not sure the source of this photo but if anyone knows, I’d love to credit them!